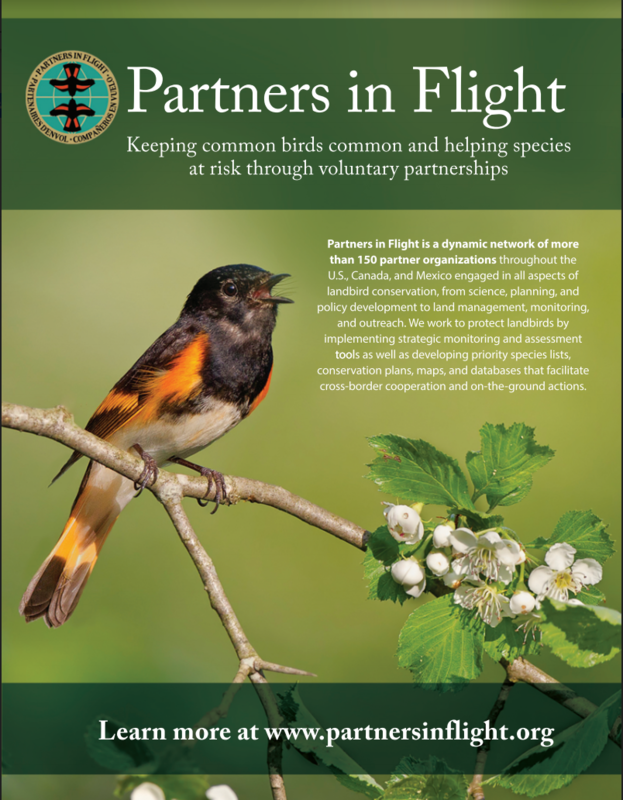 Partners in Flight produces a number of products designed to help bird practitioners — land managers, scientists, conservationists, educators, communications personnel, and decision-makers to decision-makers at national and international levels, who collectively have the ability to meet PIF’s ambitious goals for landbirds. Report calls for unprecedented partnerships across public and private sectors to reverse trends throughout birds’ life cycles. A growing list of species conservation profiles for the 86 species of greatest continental concern. Additional profiles for common species in steep decline. Access to the Species Assessment Database, Population Estimate Database, and Central American Species Databases, which are managed and stored at the Bird Conservancy of the Rockies. Designed to facilitate distribution in a timely manner of documents that PIF considers to be of significant value to the bird conservation community. 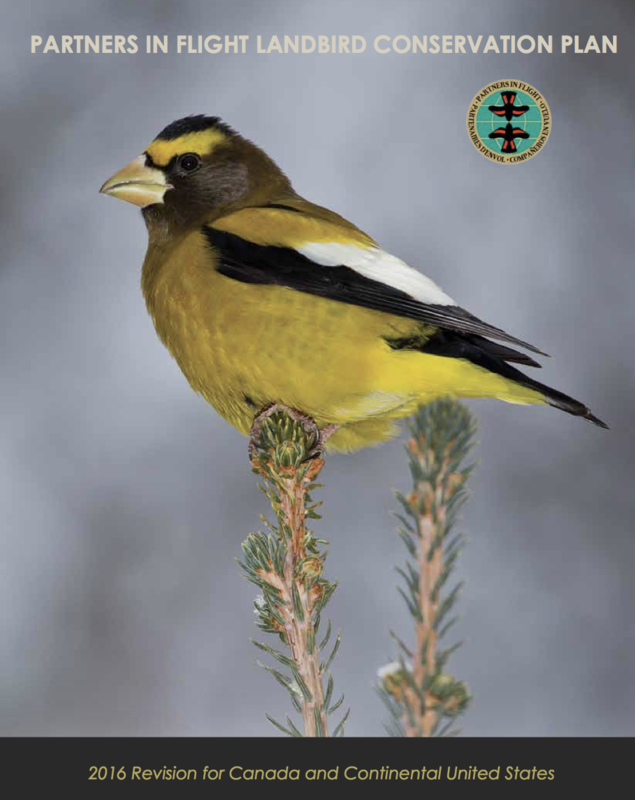 Guides to best practices for habitat management, reducing mortality, and monitoring birds – search for a species, region, or habitat of interest. Maps and mapping information for helping to tell the landbird conservation story.